In many cases, teaching children with autism requires a different approach than teaching neuro-typical children. Lesson plans need to focus on challenging areas for kids on the spectrum, including communication issues, social skills difficulties, and fine motor challenges. Additionally, the lessons need to match the child's developmental level and take full advantage of the child's strengths and interests in order to be effective. You can find lesson plans on the Internet and in books, but many of them require you to pay money for the use of the program. Additionally, it can be difficult to find free lesson plans that focus on areas of particular challenge for children on the spectrum. 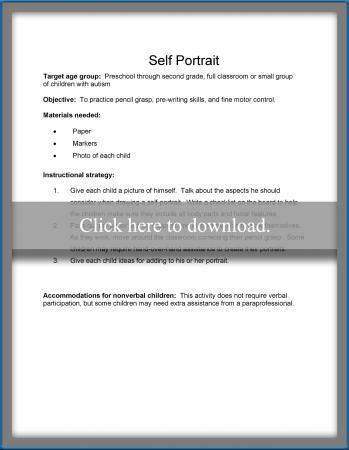 These six lesson plans are designed with the special needs of children with autism in mind. Wherever children fall on the autism spectrum, it's likely that they have challenges with communication. Specifically, one problem area may be asking questions for information. This challenge may be due to a lack of shared perspective or "Theory of Mind." A child on the spectrum may believe that others do not have information that he or she does not already know, so there's no need to ask a question about anything. You can target question-asking by playing a game like "What's in the Bag?" This game sets up a situation where the child must ask a question to find out what is inside the bag. This is a great choice if you're on a limited budget, since the lesson plan is free and the materials are things you probably already have around your home or classroom. To keep kids engaged, consider using only items that relate to their areas of intense interest. Many children on the spectrum struggle with the functional use of language; in other words, they may have a hard time using language to communicate their needs. This skill is very important for people with autism, but it can be difficult to teach. Often, these children are very self-sufficient. It's essential to set up situations where the child will only be able to get the desired object by asking for help. Eventually, children will learn to translate this skill to other situations. The "I Need Help" lesson plan engineers situations where the child is missing an essential piece of a puzzle or game. In order to continue game play, the child must ask an adult for help. Non-verbal children can use a hand signal or picture card to practice this skill. Along with the free lesson plan, you'll need a few games or puzzles. 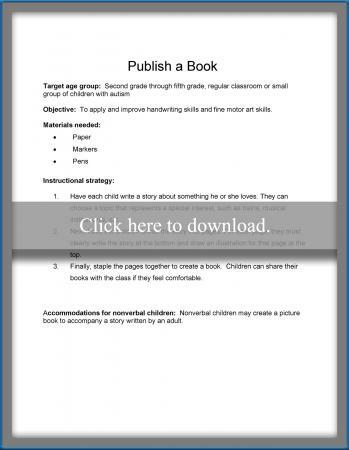 Click to download this lesson plan. Social skills, such as the concept of personal space, may not be intuitive for children with autism. Because personal space varies by the individual and the situation, this can be an area of particular challenge. Helping children with autism become more aware of personal space can give them an advantage during social interactions. 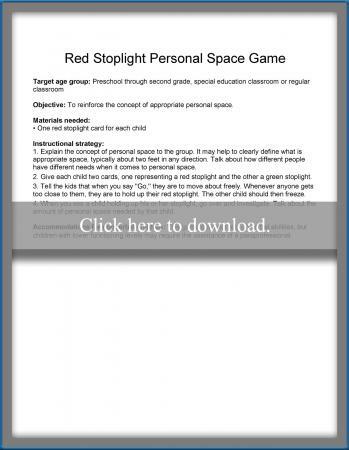 The Red Stoplight Personal Space Game is a great way to get kids up and moving. You can play it in an open gym or classroom or even on the playground outside. Simply print out this free lesson plan, and create a red stoplight for each child. If you're working with older children, you can add a green stoplight to provide a little extra clarification. Because the game relies on visual processing of information, a strength for many children on the spectrum, it's an ideal way to teach this important skill. Click to download this game. For kids with autism, it can be very helpful to have a planned script to use during social interactions. This helps kids compensate for difficulties they may experience in processing social or non-verbal information. You can target any important social skill in this type of lesson, although this free lesson plan is designed to work on showing concern for a hurt playmate. Creating a comic book builds on many of the strengths typical of children with autism, including visual processing. However, this type of activity also works well for auditory or kinesthetic learners, since the child is creating the story by drawing the pictures and writing the words. Many children with autism have difficulty learning to grasp a pencil correctly, producing legible handwriting, and drawing representational pictures. A self-portrait can be a great way to practice these skills in a rewarding way, and it also helps children learn some basic facial expressions. This is a great lesson if you are on a tight budget. All you'll need is the free lesson plan and some art supplies. Children will need varying amounts of help, depending on their age and developmental level. Younger kids or those with severe fine motor delays may need the assistance of a paraprofessional during this activity. Since fine motor skills can be a challenge for children with autism, it's very important to engage them in a project they find interesting. To use this free lesson plan, talk to each child to determine his or her special area of interest. This may be trains, dinosaurs, classic literature, history, or any fun topic. Then work with the child to create a fiction or non-fiction story based on this area of interest. The point of this lesson plan is to improve fine motor skills through writing and drawing to make the book. You can also combine this lesson plan with units in science, reading, or any other topic. Younger children or those with significant delays may need assistance in creating this project. Positively Autism: Positively Autism has free lesson plans for autism and other educational resources. 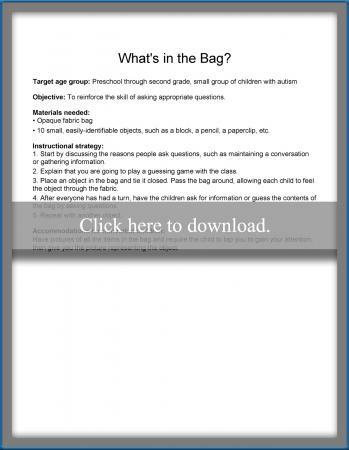 Practical Autism Resources: Practical Autism Resources offers free lessons and visual supports. Model Me Kids: Model Me Kids has both free autism lesson plans and lesson packages for purchase. E Learning: E Learning has a large number of items that can be used for lessons and visual support. Zac Browser: Zac Browser is safe internet browser for kids with autism. Zac has many educational tools and games that can be incorporated in lesson plans. You'll need to register to download. Be sure to look for free lesson plans both online and from local sources. 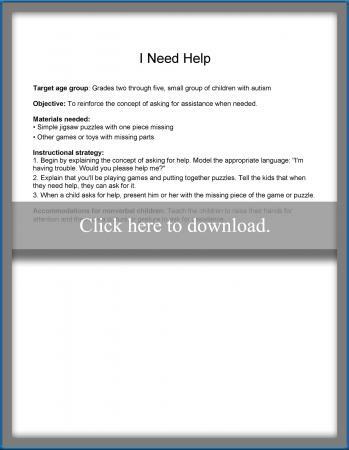 Many autism advocacy groups offer free lesson plans and support. 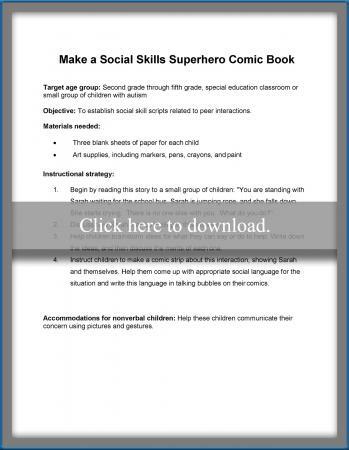 Some homeschool educational resources have free lesson plans for kids with autism. You should also make sure to take advantage of your public school system's Individualized Education Plan (IEP) option, even if you send your kid to private school or homeschool. Public schools are required by law to provide an IEP for each qualifying child in the school district with a disability even if they do not attend one of the schools. Whether you're a parent or teacher of a child with autism, it's important to harness the child's strengths when choosing a lesson plan. Whenever possible, use the child's preferred learning style, and take advantage of any areas of intense interest. These are important keys to help keep the child engaged in the lesson. 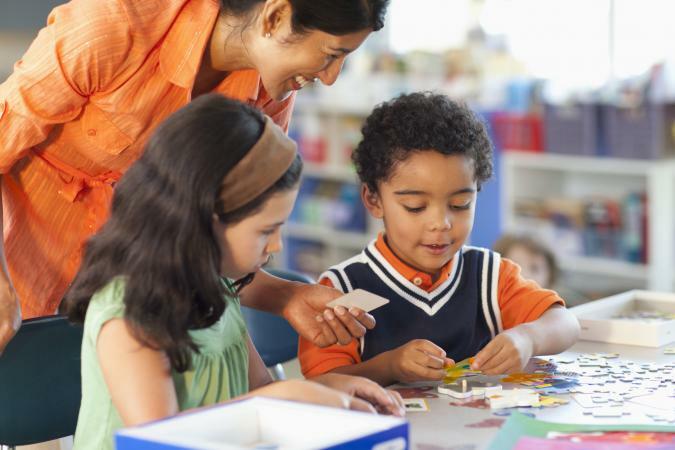 You may need to modify your lesson plans to work for an individual child as well. If you get creative and use the free lesson plans available online, you'll very likely see major progress as the child masters important skills.